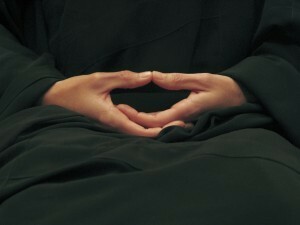 Join the students of the Mountains and Rivers Order of Zen Buddhism in their week-end retreat. If you are a beginner and wish to learn about meditation and Zen Buddhism, you can do so under the guidance of experienced practitioners. If you are an experienced meditator, this retreat will present you with an opportunity to deepen your practice. The event includes vegetarian meals and residence at Strathean. You will need comfortable clothing and your own bedding. The workshop starts on Friday evening and ends on Sunday at midday. Sleeping accommodation is dormitory-style. Transport to and from Strathean can be arranged. These retreats have been held twice a year for over twenty years. If you cannot attend this time round, consider attending our next week-end retreat, which will be from Friday 14 to Sunday 16 October 2016. If you are experienced in meditation, you might consider a week-long session with us in the South Island: see our website for further information! For questions please contact Chris: Phone - 04 934 61 54 or Email - wellington@zen.org.nz.